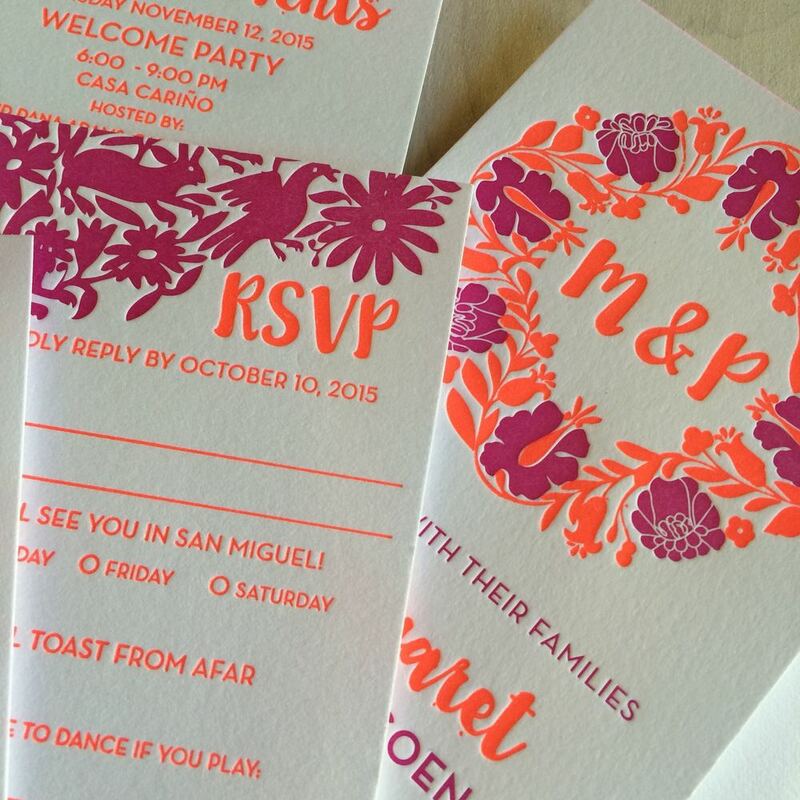 For their destination wedding in Mexico, Maggie and Patrick wanted to convey the feeling of "fiesta" in every detail, right down to the florescent red and hot pink ink choice. 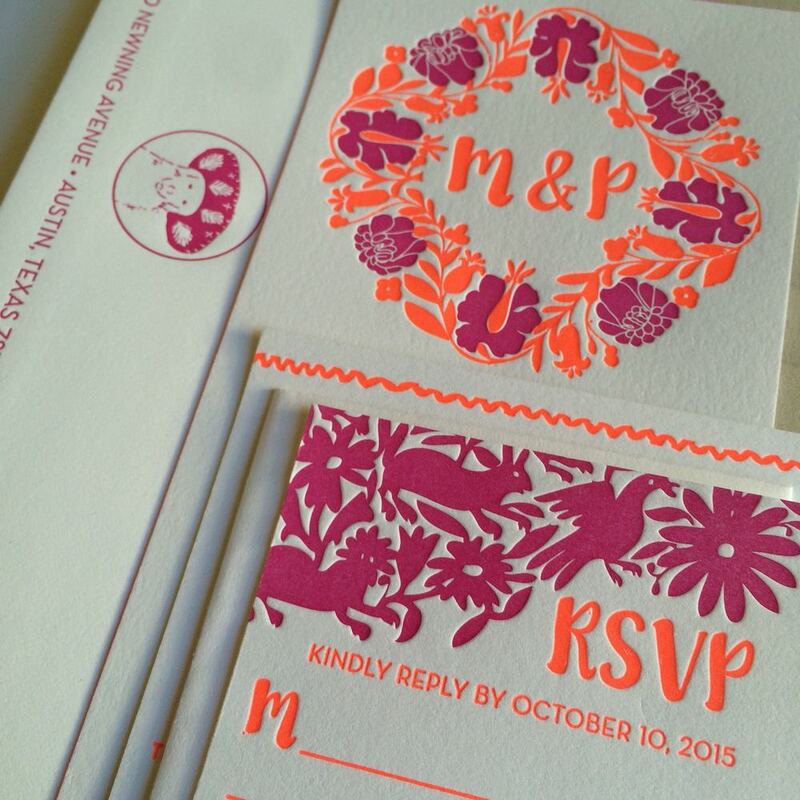 We recreated a wreath monogram design found on a lacquered box once belonging to Frida Khalo, and also used Otomi animal embroidery patterns to decorate the RSVP and details card. 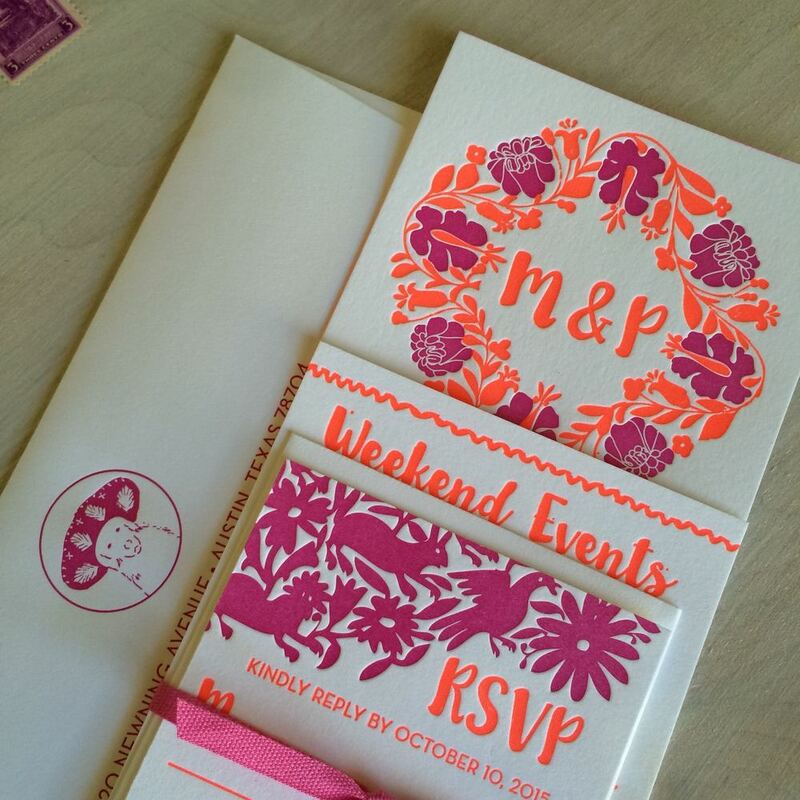 This is a 4 piece invitation suite letterpress printed on 100% cotton paper. It is tied with tight-weave Italian cotton ribbon.